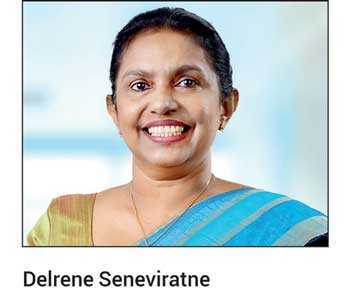 Delrene Seneviratne is appointed as the Deputy Chief Executive Officer of SDB bank with effect from 1 April. She counts over 28 years of banking experience of which over 10 years of Corporate Management. Her exposure and expertise ranges from legal, human resource development, retail, SME and micro credit, recoveries, collections, branch management, administration and services. Seneviratne started her career as a journalist/photographer for an English daily/weekly newspaper and served as the Registrar of the first Arbitration Centre in Sri Lanka prior to joining National Development Bank PLC. She is an attorney-at-law and holds a Master’s in Public Administration from the University of Colombo. She also holds post graduate qualifications in commercial law and arbitration from Queen Mary College, University of London and Solicitors Final Examination, UK. She was also an exchange student in USA under AFS program where she completed her secondary education and is also the recipient of a Foreign and Commonwealth Office Scholarship awarded by the British Government.